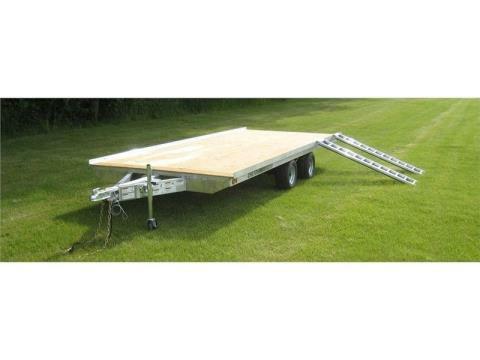 Aluminum 4-place crossload ATV trailer, 6.5 x 16.7 ft. Great for hauling multiple wheelers or UTV's. Whatever your ATV or UTV hauling need we have it covered! From 1-place, steel trailers to 4-place aluminum side load trailers we can help you haul one to four different units to where ever you need to go. As with all Chilton trailers, our ATV & UTV lineup of trailers follows in the Chilton tradition of rugged construction and durability which is a necessity when your are out in the elements with your wheeler. Many of these trailers double up as a utility trailer and offer you the versatility to haul and move other things when not moving your wheeler around.